AWStats is short for Advanced Web Statistics. AWStats is powerful log analyzer which creates advanced web, ftp, mail and streaming server statistics reports based on the rich data contained in server logs. It updates regularily, typically on daily basis, and provides an excellent graphical representation for easy understanding. More details about the tool are available from the documentation. AWStats is widely employed in cPanel servers. To access AWstats from cPanel, please login to cPanel and then navigate then cPanel >> Metrics >> AWStats. But you may get into instances where AWStats fails to update itself on the web UI (cPanel >> AWStats). There are a lot of reasons as of why the stats are not being updated which can include incorrect file permissions or configuration changes. I am pointing the common reasons why the stats can fail to update and will add more reasons when I come across them. If Awstats not updating automatically then obviously you will have to update it manually. This can be done from cPanel or command line and the option to choose depends on your choice/preference. You need root access to the server for updating AWStats manually. To update Awstats for a user alone via command line, run the command below after logging to the server as ‘root’ user. Of course, you will have to replace $user-name with the username of the cPanel account. and then select the user to update stats from the drop down and fire the statistics to be processed by hitting the ‘Go’ button. If it still fails, then the issue is something deeper and we need to investigate further. There are many reasons as of why even a manual stats update can fail. As mentioned earlier, various statistics shown here are derived from various log files. For eg: it uses the entries in the domlogs file for web traffic calculation. Same is the case with other services like IMAP, POP etc. 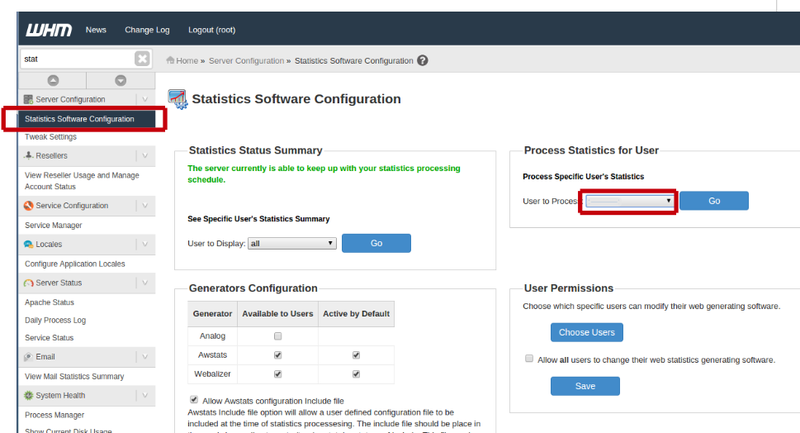 Awststs can stop working if there is any issues with permissions or ownership of the log files, binary file or with the cPanel specific configurations for stats update. 1. SSH to server as root user. Where username is the cPanel username of the account in question. The configuration files for domains under that particular cPanel account are located here. The directive “AllowToUpdateStatsFromBrowser” is to be set to 1 for Awstat to be updated from the cPanel interface. Fire the below command to list the conf files present. We have identified the stats configuration file for the domain under evaluation. For the purpose of anonymity I am using “domain.com” here, it should be replaced with the actual domain name being investigated. Also please check the permission of “/usr/local/cpanel/3rdparty/bin/awstats.pl” file. It must be 775. Check if Awstats is enabled in the options ‘Generators Configuration” there. 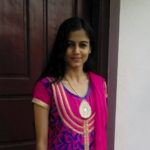 Ankita started her career in the field of Linux System Administration since 2016. She has the ability to build productive relationships, resolve complex issues and win customer loyalty. She loves reading and travelling.